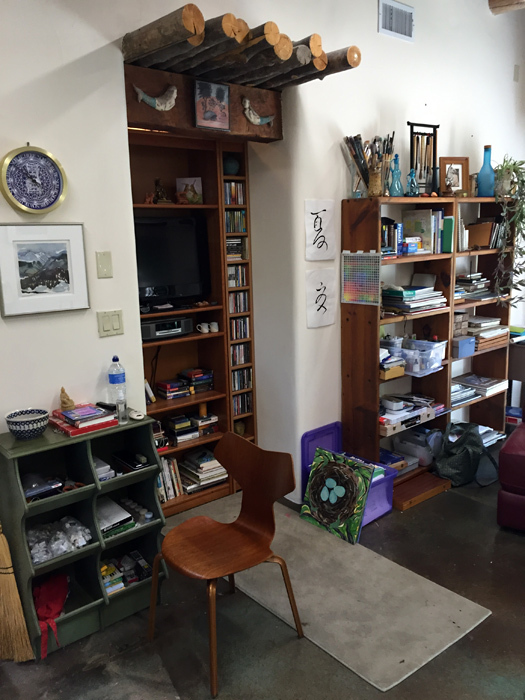 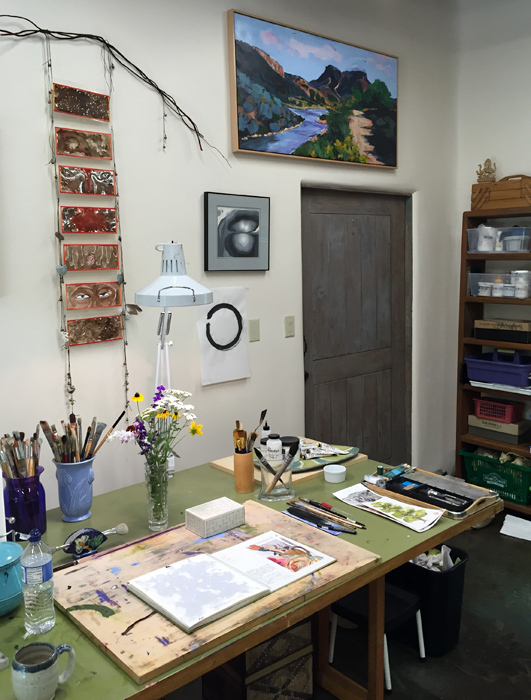 STUDIO PHOTOS – to have a place to honor my best efforts is truly a pleasure. 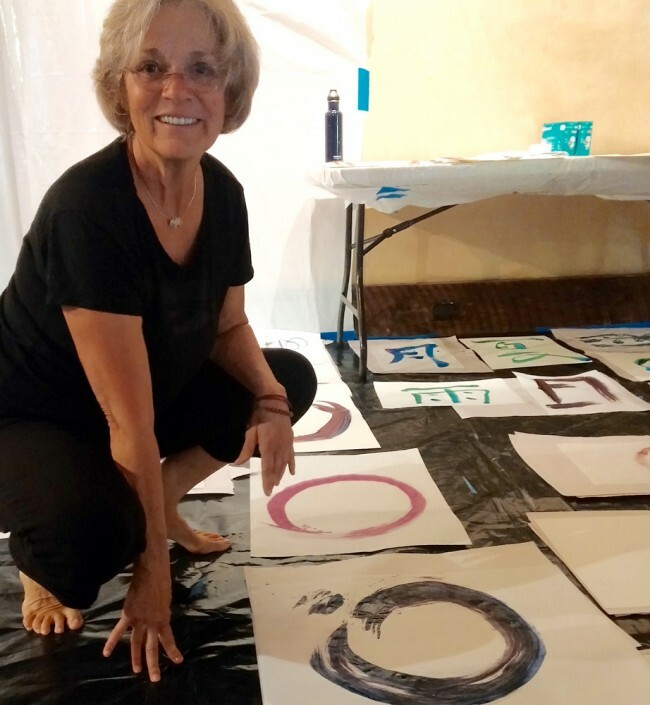 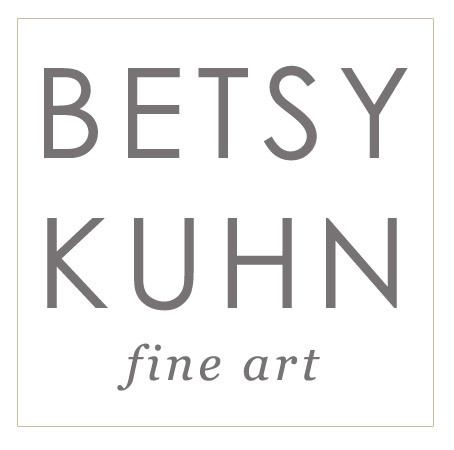 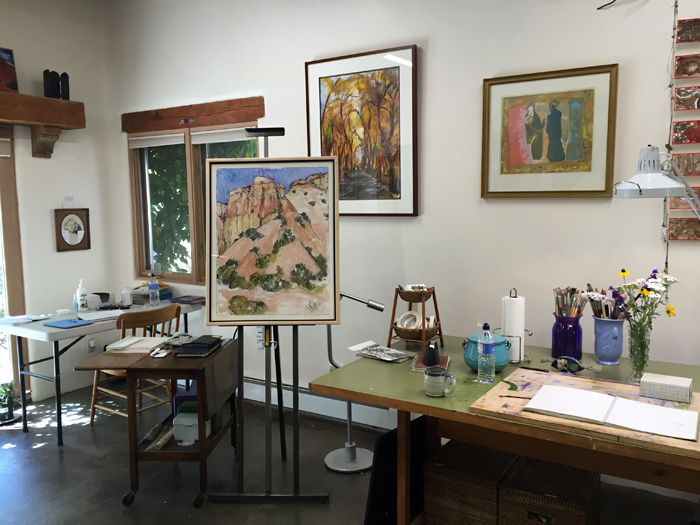 My studio, in Tesuque, New Mexico, is located near Bishop’s Lodge and the Tesuque Village Market, and about a mile from the world-famous Santa Fe Opera. 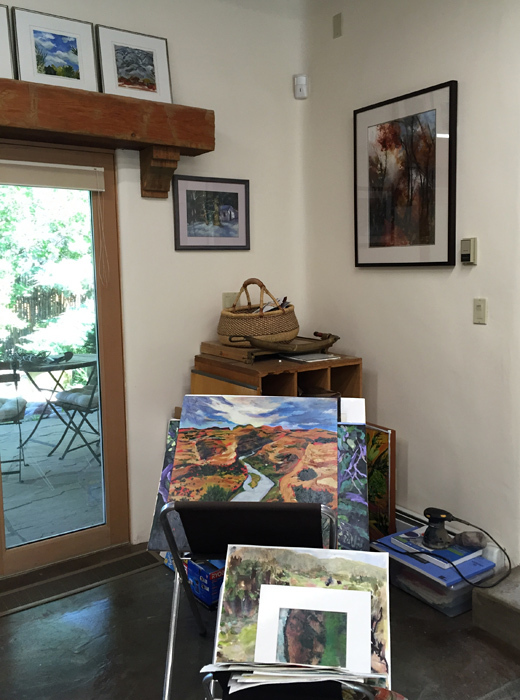 Tesuque has easy access to Santa Fe’s Canyon Road and Railyard art districts. 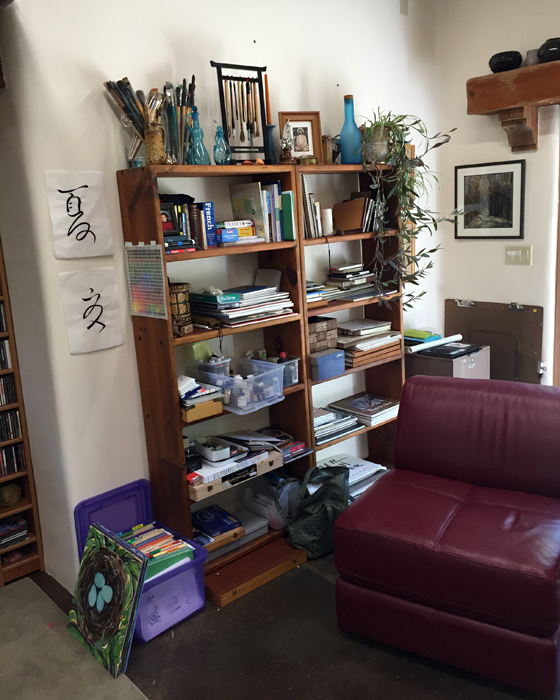 It is also near one of my favorite destinations, the Upaya Zen Center. 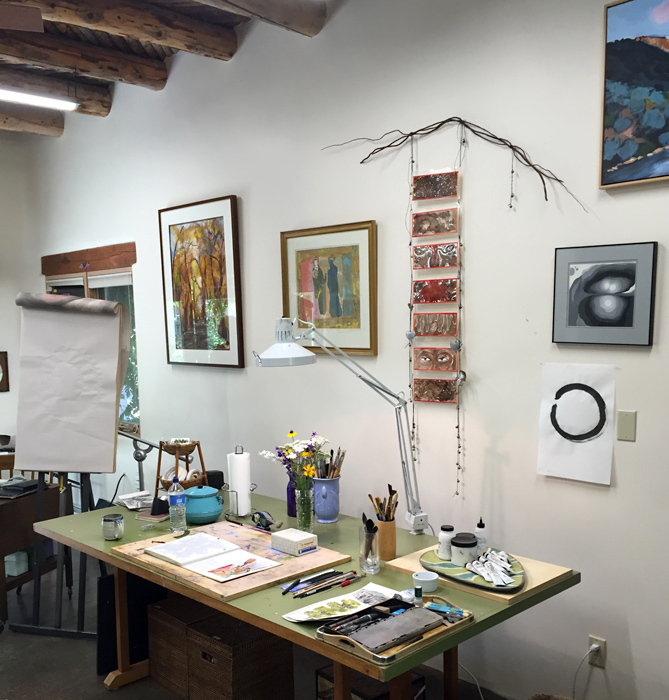 Tesuque is a peaceful spot and a constant inspiration.